About us - HELAGO-CZ, s.r.o. The HELAGO was founded in March 1992 to represent A&D Company Limited which is a Japanese manufacturer of weighing and medical tools. The company experienced quick expansion especially thanks to pharmacies which became its main target market. The company’s own factory building was built in 1993 and first pharmacy furniture was made there the same year. The company is always seeking to increase the quality of its products and service. 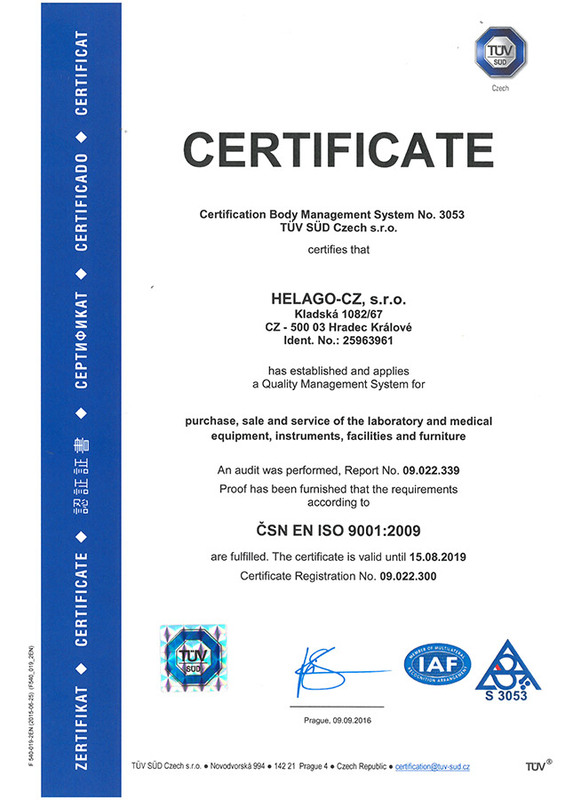 It has been a holder of Quality management system ČSN EN ISO 9001:2001 certificate since 2004. The effort to develop itself has become tradition in the company.